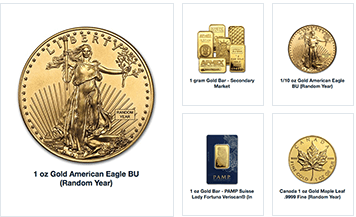 With more than 10,000 in stock, APMEX boasts over $14 billion in transactions and is the #1 ranked specialty retailer by Internet Retailer Magazine. Although a niche market, fusing both retail and finance, APMEX wanted to be seen as best in class when it came to the traditional eCommerce experience. In order to do so, the team at APMEX turned to Dynamic Yield to discover the real motivations of its shoppers in order to serve more targeted promotions across a wide range of different segments. Ultimately, the eComm platform saw key financial metrics like conversion rate, average order value, and revenue per session increase between 5-7% percent. Integrate easily and effectively with current technologies including CRM. Analyze and identify high-value segments in real time for experience-tailoring. Optimize product discovery for vast assortment of SKUs based on traffic quality. That’s when they turned to the end-to-end personalization capabilities of Dynamic Yield. 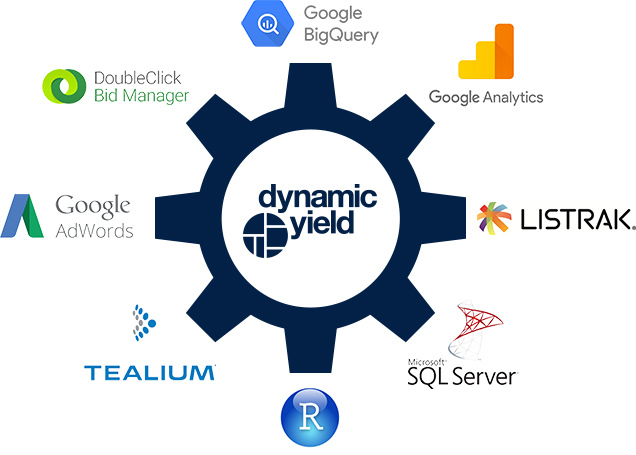 With custom integrations made possible by Dynamic Yield’s open architecture design, APMEX can glean limitless insight from their data and calculate the true performance of their entire ecosystem. With the robust segmentation logic applied by APMEX, the team is able to optimize each element of their website and assign the right experience to each of their customer personas based on financial value and engagement. Starting with the dominant Hero slider at the very top of the page, APMEX showcased to customers the most relevant banners, sorted in a personalized order for each visitor. Secondary banners on the page also consist of numerous variations, personalized continuously by Dynamic Yield’s auto-optimization machine learning technologies. 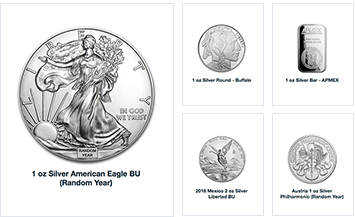 APMEX implemented a variety of product recommendations widgets and targeted each widget variation at a different audience, based on each segment’s metal preference and coin-affinity. Shoppers who initially showed interest in out of stock products were presented with a “back in stock” banner that displayed products based on previous journeys and metal affinity. 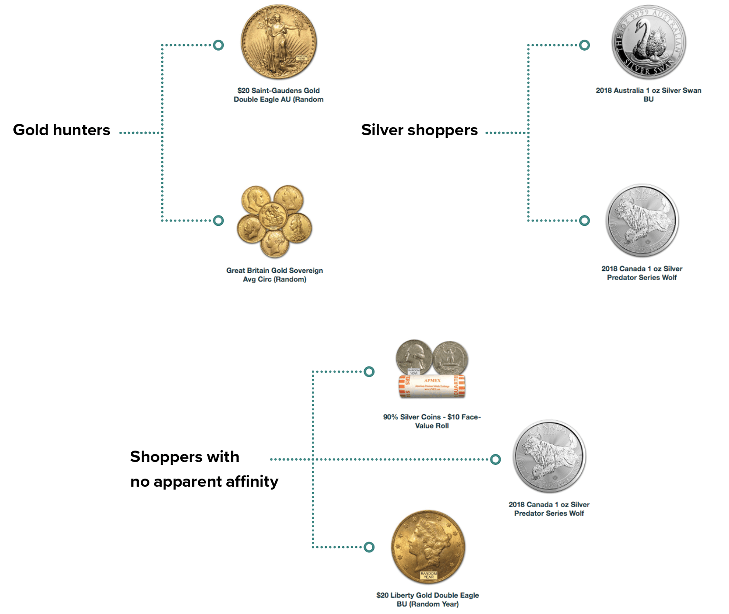 APMEX utilized a variety of Dynamic Yield Templates, including this one meant to create a sense of urgency with shoppers, to drive more purchases and at a higher rate. 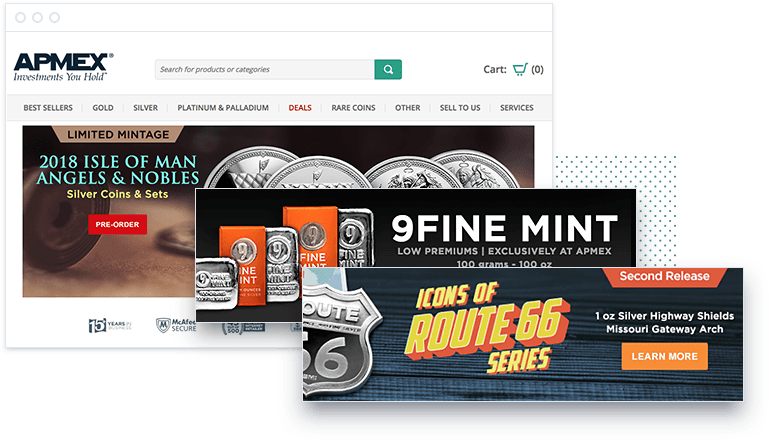 Similarly to the mobile and desktop experiences, APMEX personalized its email campaigns with targeted Dynamic Content and personalized recommendations based on behavioral data collected from the website and other data integrations. An abundance of products catered to an extremely diverse customer audience means that data integrity, customer segmentation, and on-the-fly activation of machine-learning based experiences are paramount. By leveraging Dynamic Yield’s data and activation capabilities, APMEX was able to personalize the entirety of the customer journey, leading to uplifts of up to 7% in revenue per session and conversion rate.